At university, you’ll be expected to read, analyse and synthesise different sources of information to prepare for lectures, tutorials, tests and assignments. Unlike at school, you’ll need to make decisions about what you need to learn (e.g., choosing suitable items from the course reading list, or finding additional sources for your assignments). You'll also notice you'll be reading a broader and possibly more complex range of materials. Therefore, you'll be expected to know how to locate relevant and appropriate sources and how to read effectively and efficiently, among other things. Being an effective, strategic reader will enable you to thoroughly understand ideas and concepts from your courses, and efficiently manage your reading workload and materials. To be an effective reader, you’ll need to learn to read actively and purposefully (e.g., know what you’re looking for in a text, recognise its genre to make predictions, and engage in a conversation with the content through note-taking). As you do so, you’ll be applying your critical thinking skills to your reading. To read critically, you’ll need to ask questions about a text before, during and after the process of reading. Taking a critical approach right from the start of your reading will help you identify the argument’s strengths and weaknesses, as well as avoid having to spend time re-reading and re-reviewing material. Now, how confident do you feel about your own reading ability? Complete the exercise on the following page before you move on to learning about academic writing in Module 4. 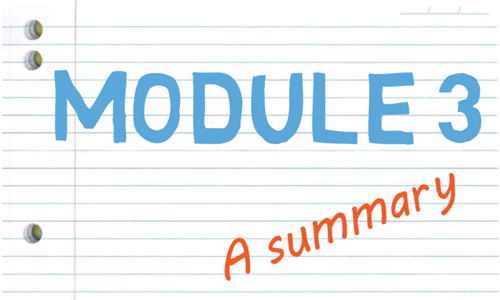 Note: Download the PDF file below so you can review Module 3 later.